By caring for your hiking shoes, you will enjoy many years on the trail together. It’s important to clean your shoes after every hike with a brush and water. Do not use a heat source to dry them. If necessary, use a specialized shoe cleaner. Once in a while, waterproof shoes also need to be cleaned on the inside. Remove the insole and rinse them with lukewarm water. This will help maintaining the breathability. After a while, the exterior fabric of the shoe will start to absorb water. 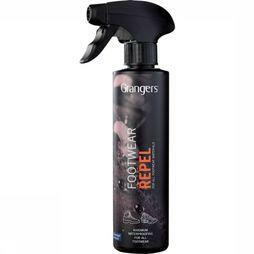 Apply a new water repellent coating on your clean shoes with the Granger’s shoe spray. 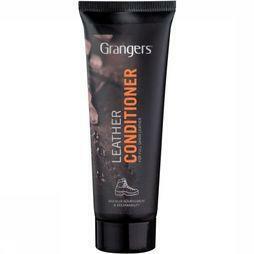 Full-grain leather shoes need leather conditioner or wax to prevent drying out. It’s also possible to use a conditioner when your suede or nubuck shoes dry up, but this will change the appearance of the shoe. Only use products that are suitable for waterproof shoes. Carefully read the instructions of the maintenance product.